My very first perm was done, and since then I have been curly ever since. 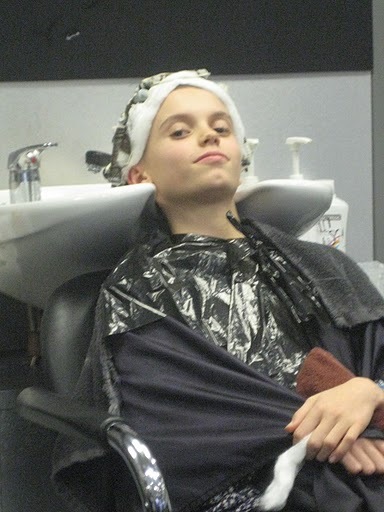 Over the last 6 years it was me lying in the sink that way for over 20 times, in fact in 2012 my 25th perm will be done. Last year I decided to stop blogging because I had no internet for some 2 weeks and I lost ideas to keep on posting, also I was hoping for moe help from the many readers here. It’s clear to me that having a sexual fetish that is related to things in a salon or something to do with hair is not that uncommon, so wouldn’t it be nice to have a place for “us” in the internet? A Board a chatroom etc? There used to be very active groups on yahoo but most ended up will all kind of spam. Let’s see what and who I can reach with this blog.